Have you ever seen those picture perfect beach weddings on blogs and Pinterest and thought, “wow that must be so easy since it’s at a beautiful beach. What more could you need?”. Have you ever wondered which beach they held their wedding at? 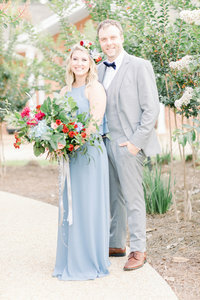 After getting inspired by so many of those Pinterest beach weddings ourselves, we decided to take on quite a few when we first started Taylor’d Southern Events. Specializing in beach weddings, we could not imagine spending so much of our time any other way. When we first started designing and photographing beach weddings… It was a whole other story. 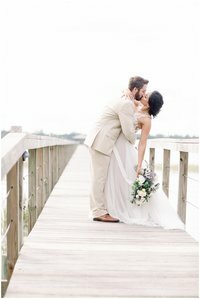 From hiking down rock formations to slipping in the sand, keep reading to learn all about the “behind the scenes” of this days like this gorgeous Destin wedding! To see more of this perfect day on the shores, click here! We’re about to cross over into Summer wedding season! While the heat initially makes us cringe, we always get hit with the realization of beach weddings during this time of year! When you get to photograph gorgeous couples on beautiful shores like those of Destin, there really is no room to complain. For these types of weddings, our main goal is to ensure comfort, cleanliness, and getting over-prepared months before hand. While it means beautiful portraits, a beach wedding also means working with nature for the entire day. Throw in the inevitable wind and chilly air from the water, it can be tricky to figure out how we want to go about the whole day. Instead of waiting a few weeks before the wedding, we try to visit the site at least twice a month to see how things change, if there are any “quirks” about the area (certain events, the usual crowd, etc. ), and to plan out the overall design of the big day. After getting to know the location like the back of our hands, we keep the bride + groom at the forefront of our working minds. We could come up with the perfect design aesthetic but if it impedes the comfort of our bride, groom, or any wedding party member, adjustments have to be made. Once we’re able to find a perfect, efficient design that compliments the tasks of the bride + groom, we then go in and add design aspects. Lastly, you don’t realize how many rock formations or incredibly-inclined steps you have to climb up and down when heading to the beach. Thankfully, we have such a wonderful team and vendor partnerships that allow us to move equipment, rentals, and fragile decor up and down those impediments with care and ease. How do your beach weddings typically pan out? Share with us in the comments below! 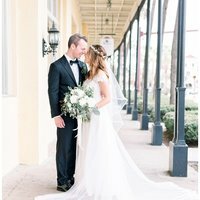 To learn more about Taylor’d Southern Events and our all-inclusive wedding services, click here!